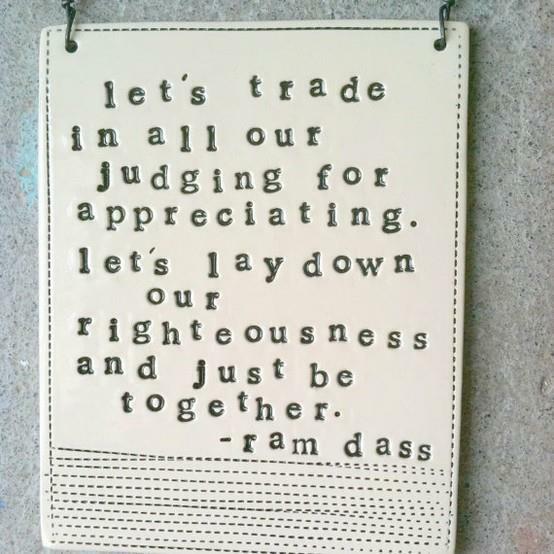 “Let’s trade in all of our judging for appreciating. It’s easy to get caught up in the trap of self-righteousness and judgment. For me, I plan to be more aware.